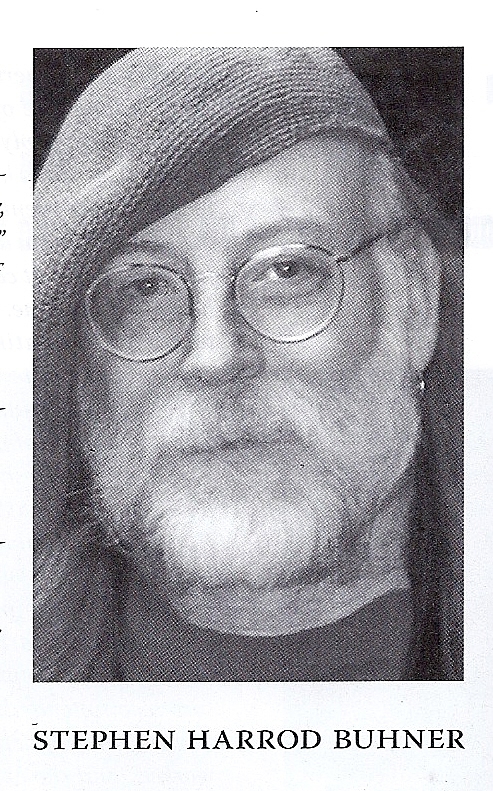 February 24, 2015 by Anthony Palombo, D.C.
I’ve been sharing and commenting on an interview in the December, 2014 issue of The SUN magazine with master herbalist Stephen Buhner, a magazine that traditionally carries quality writings by little-known authors. We’ve been talking about herbs as “living medicines” as opposed to pharmaceutical drugs, and I thought my readers would be interested in knowing more about specific herbs and their benefits. So, here are some of the more popular herbs I use in my practice to support the healing process and healthy function in general. I will highlight in this post some of the herbs that help circulation and the immune system in the body and support the body rather than do its job for it and thereby depriving it of its education on handling environmental toxins and invasive germs, viruses and bacteria. So, read on if you want to know more about these living medicines and their benefits to your health and longevity. 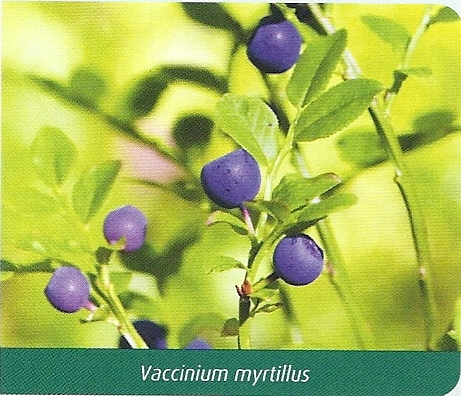 BILBERRY — is the herb of choice for eye conditions such as macular degeneration and cataracts. That’s because it supports microcirculation through the small capillaries in the eyes. But not just in the eyes, also in the brain and throughout the entire body. Additionally it . . .
promotes a healthy response to environmental stress. Caution: Contraindicated in known allergy to plants of the daisy family. Discontinue during an acute infection or fever. CAUTION: Licorice root’s inclusion in Broncafect makes it contraindicated in high blood pressure, edema, (water retention), congestive heart failure, low blood potassium, pregnancy and lactation. Pleurisy root alone is not contraindicated in the conditions mentioned. CAUTION: Licorice root’s inclusion in ResCo makes it contraindicated in high blood pressure, edema, (water retention), congestive heart failure, low blood potassium, pregnancy and lactation. 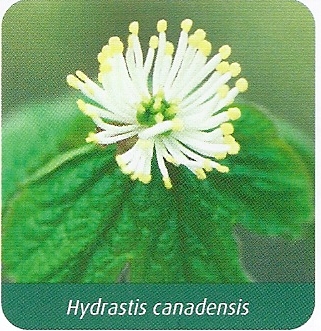 Mullen Leaf alone is not contraindicated in the conditions mentioned. CAUTION: Contraindicated in pregnancy, lactation and high blood pressure. Not nearly as dangerous as drugs — both prescribed and so-called “recreational.” We don’t hear about people dying from an overdose of or “complications” from herbs or nutritional supplements. It is drugs that kill people. There are some precautions to take where herbs may interfere with medications. 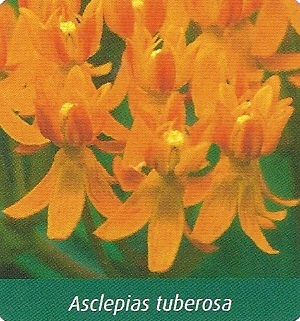 St. John’s Wort is a good example. It will neutralize and destroy all drugs as they are processed in the liver. That’s why St. John’s Wort is such an effective liver detoxifying herb, and why you don’t want to take it while on vital medications. It’s also a powerful anti-viral agent. However, there are relatively few contraindications and fewer negative side effects taking herbs and nutritional supplements. There are too many herbs to review in a blog such this. Some are best used under professional supervision. Chaparral is one such herb that is so powerful as an antimicrobial and immunostimulant that it should be used only on a short term basis, 10-14 days in most cases, and in cycles of two week on and two weeks off. People with pre-existing kidney and liver diseases such as hepatitis and cirrhosis should not take Chaparral in large dosages and then only with professional supervision. As mentioned in an earlier post, the use of antibiotics will often destroy the beneficial bacteria in the GI tract. Probiotics should be taken while dosing with oral antibiotics to replace the friendly bacteria that are being destroyed. Natural antimicrobial herbs do not harm the intestinal flora, and in most cases help to bring about a balance. Your medical doctor will usually ask you to discontinue taking herbs if he or she is not well informed and educated in their uses and contraindications, and that is very wise. Medical doctors study pharmaceuticals in medical school, not nutritional and herbal therapies. Some herbs do have potential interactions with prescription drugs, most at a low level of risk. Medi-Herb provides its doctors with ample information and quick-reference charts to guide them in prescribing herbs and their dosages. It is always best to consult with an herbalist or eclectic (alternative) practitioner about the possible interactions of herbs with any prescription medications you may be taking. WILL HERBS EVER REPLACE PHARMACEUTICALS ? Eventually, but not in my lifetime. I believe we will soon be forced to abandon antibiotic dosing simply because it will become increasingly ineffective against the super-bugs antibiotic overuse is creating — and not only in our health care system but in our agricultural practices as well. I am obviously enthused about the potential Living Medicines have in offering alternatives to pharmaceuticals. Currently, we humans are not healthy enough in general to abandon our dependence upon prescription drugs. Therefore it is the better course of wisdom to use nutritional and herbal therapies as “integrative” therapies rather than as “alternatives” to drug interventions. The word “alternative,” as I use it in my practice and writings, is not meant to be construed as “instead of.” So, I would caution my readers to align with my way of viewing alternative healthcare as an “integrative” methodology in the current pharmaceutical-dominated health care system. In most instances, alternative therapies such as nutritional supplements and herbs actually help prescribed medications work better and more safely in the body. They are second only to the placebo and prayer. I trust you have benefited from these posts on Living Medicines Vs Pharmaceuticals. This post will conclude this series of considerations. Until my next post, then. . .
Here’s to your health and natural healing. I JUST REACHED 51,000 VIEWS OF MY BLOG! 36,000 OF MY HEALING TONES BLOG! CAUTION: Herbs are powerful natural medicines and should not be used indiscriminately. None of the above information should be construed to diagnose or treat any disease nor to preclude sensible medical care and professional supervision. Medi-Herb and Standard Process products are only available through licensed physicians and certified healthcare practitioners and should only be used under the supervision of such. The intention of the author of this blog is to provide information only about natural alternative and integrative medicines. However, it is left to the sole discretion of the reader to determine if the considerations or suggestions included herein are appropriate for his or her health condition and/or needs. Reference Sources: MEDI-HERB Product Catalog put out by master herbalist Dr. Kerry Bone; Herbal Formulas for Clinical Practice by Nicholas Weed, D.C., Herbalist and owner of Weed Botanical Company, Wimberley, Texas. February 12, 2015 by Anthony Palombo, D.C. When you use a living medicine and get well, you feel that the world is alive and aware and wants to help you. People often talk about saving the Earth, but how many times have you experienced the Earth saving you? Herbs do not cure. Rather they give the body living medicine the body can work with to cure itself of disease. It is the inborn Intelligence of the body, of course, that directs the healing process–Life. And Life works within the time frame of its own wisdom and cycles. Drugs interfere with those cycles by nullifying the symptoms of pain and malfunction that trigger the healing process. Herbs facilitate the healing process. It just takes time. For example, anti-inflammatory drugs reduce the inflammation in tissues and joints that, for one thing, stop us from doing what is damaging the tissues and joints. We won’t do what hurts. That’s the body’s wisdom at work, which we defeat when we take pain killers. The other and main thing, however, is that inflammation is the first and initiating phase of the healing process. When you nullify this phase, you stop the repair process of the damaged tissue, which means you’ll never experience healing as long as you’re taking Ibuprofen or Tylenol or any number of other pain killers. It’s that simple. Stephen Buhner tells his personal story working with herbs. Ahuja: What was your first experience with herbal medicine? Buhner: When I was thirty-four, I became quite ill with severe abdominal cramping. The doctors didn’t know what it was. I met a local herbalist, and she mentioned that a certain plant growing in the forest around my house was good for my condition. The doctors wanted to do exploratory surgery, but instead I ate some of the plant. The pain was about half as severe the next time it happened, and the next time about half again, until finally it just went away. After that, I began to take control over my own health. Ahuja: What was the plant? 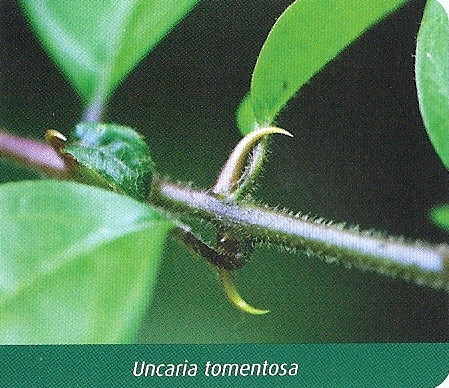 Buhner: It was a perennial herb called osha. I just dug up the root and began eating it. It’s got a spicy, celery-like taste. Not only did I feel my body getting better, but I could feel, inside, some living entity that cared about me. It’s difficult to explain, because it’s not something we generally talk about in the West. When you use a living medicine and get well, you feel that the world is alive and aware and wants to help you. People often talk about saving the Earth, but how many times have you experienced the Earth saving you? Support the normal function of the kidneys to clear acidic waste products effectively, like uric acid that causes gout. Maintain and support healthy joints. Promote the body’s normal resistance function. Support healthy response to environmental stresses. ECHINACEA – here is an herb for the immune system, and its healing gift lies primarily in its root and less in its foliage. 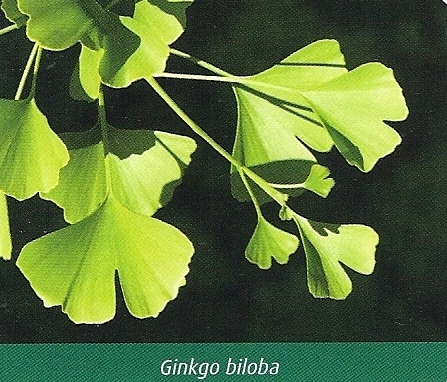 This herb does not stimulate or activate the immune system, as is commonly thought, but rather acts as a modulator to the immune system, regulating its response to various stress needs in the body. In the case of infection, it up-regulates the immune response and boosts the white cell count. In the case of autoimmune disease, it down-regulates the immune system. As with all systems in the body, balance is the key to healthy function. Echinacea is both misunderstood and underestimated. 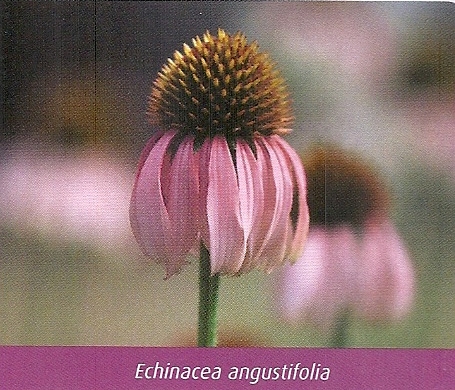 There are many Echinacea products available which differ according to species, plant part, quality markers and dosages. The wide variety of products available is why there is controversy surrounding Echinacea and its effectiveness. Echinacea is commonly thought of as an herb for winter season stresses and only for short-term use. 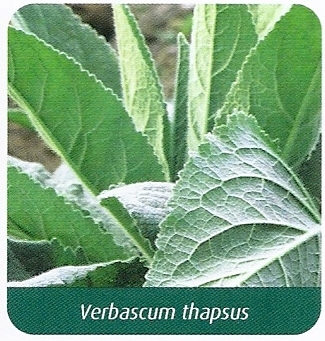 Kerry Bone’s applications for Echinacea are much broader than this and you may wonder why this is. Kerry has spent many years both researching and prescribing Echinacea for thousands of patients. His passion for Echinacea led to the MediHerb research project and a greater understanding of Echinacea and how it works. For full details of MediHerb’s Research visit mediherb.com and search for The MediHerb Echinacea Research Story on the Echinacea – A New Understanding page. The research results validate the traditional wisdom of Echinacea, and that is to achieve good clinical results you must use only a root preparation with high levels of alkylamides. 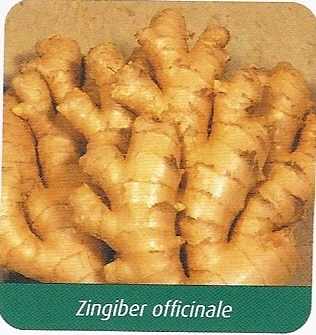 An important aspect of any herb, or nutrient for that matter, is its bioavailability. Echinacea angustifolia and E purpurea contain high levels of alkylamides which are easily absorbed in the body. MediHerb’s Echinacea Premium is the best Echinacea product on the market because of its high levels of alkylamides. You can tell if the Echinacea product you are taking is derived from the root by how it imparts a persistent tingling sensation on your tongue. Daily dosage with Echinacea Premium (1 a day) will help keep your immune system balanced and ready to respond to the stress needs of the body. Enhance mental clarity and support cognitive function. Ease the effects of temporary and occasional environmental stress. Promote alertness and mental clarity. Help support healthy mental function. Support good health in older adults. Promote healthy circulation to the brain and peripheral areas of the body which is important for the delivery of oxygen and vital nutrients. Support a healthy cardiovascular system. Support and encourage healthy blood. 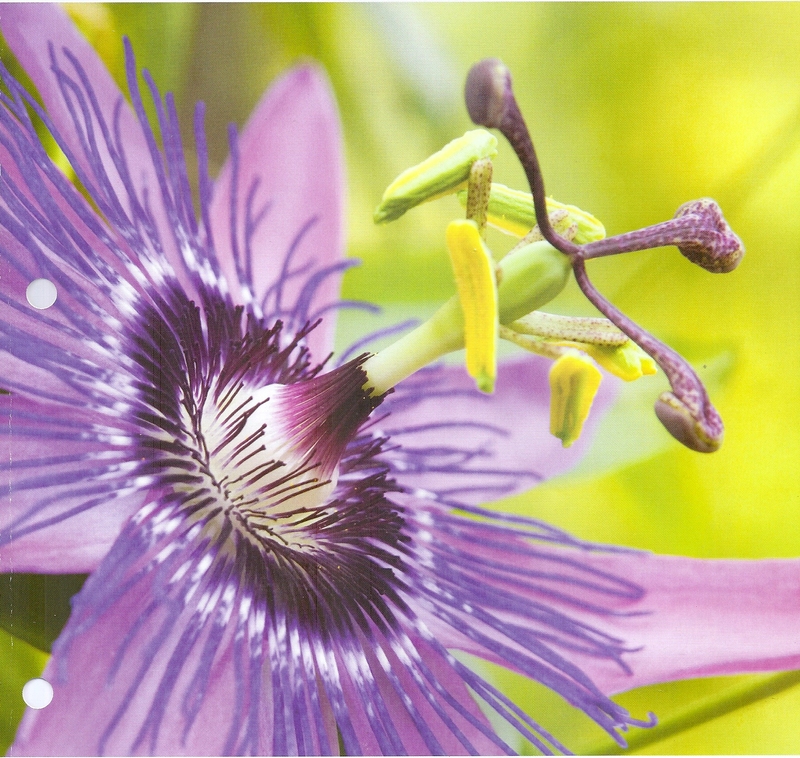 Provide antioxidant support to help protect nerve cells and other tissues. Beneficially modulate cortisol during periods of stress. Reduce the congestive symptoms of premenstrual syndrome. Maintain healthy blood sugar levels when combined with a balanced diet. Maintain normal cholesterol levels in a normal range. Help support normal cravings for sugar in the diet. 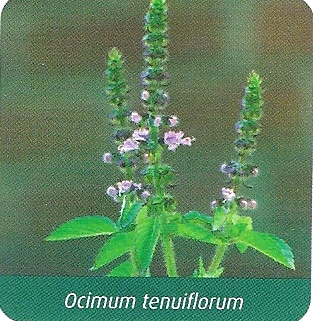 I will continue sharing information about popular herbs and their benefits in my next post in two weeks. Until then, here’s to your health and natural healing. CAUTION: Herbs are powerful natural medicines and should not be used indiscriminately. None of the above information should be construed to diagnose or treat any disease nor to preclude sensible medical care and professional supervision. Medi-Herb and Standard Process products are only available through licensed physicians and certified healthcare professionals and should only be used under the supervision of an certified herbalist or healthcare practitioner. Visit my HealingTones.org blog for an interesting series of articles about the Golden Age of Aquarius. December 28, 2014 by Anthony Palombo, D.C. The December issue of SUN magazine carried an insightful, though sobering, interview with an herbalist that I thought would be an inspiring and deeply meaningful article to review and share in my Health Light Newsletter blog. The interview is by Akshay Ahuja, writer for the SUN and production manager for Ploughshares, an organization that works with churches, governments and civil societies, in Canada and abroad, to advance policies and actions to prevent war and armed violence and build peace. 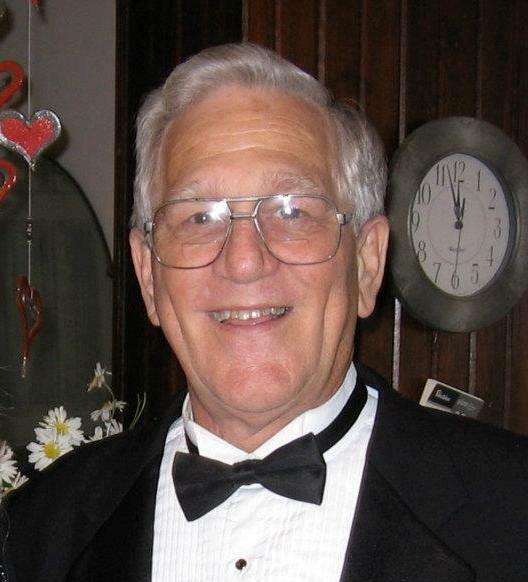 Stephen Buhner was born in 1952 in the Midwest where he was introduced to his healing ministry through his great-grandfather, a country physician in rural Indiana. At the age of sixteen he left home to attend college in California. From there he traveled and settled in the high mountains of Colorado, where he built a “turn-of-the-century cabin that he lived in for four years.” His path to becoming an herbalist started out with a personal healing of severe abdominal cramps with the perennial herb osha root. His encounter with this herb was more than remedial and had a spiritual and vital quality to is, as he recalls in the interview. He currently lives in Silver City, New Mexico. I just dug up the root and began eating it. It’s got a spicy, celery-like taster. Not only did I feel my body getting better, but I could feel, inside, some living entity that cared for me. It’s difficult to explain, because it’s not something we generally talk about in the West. When you use a living medicine and get well, you feel that the world is alive and aware and wants to help you. People often talk about saving the Earth, but how many times have you experienced the Earth saving you? I love this man’s insight into the natural botanical world of herbs and his thoughtful perspectives on both the natural healing and modern medical models. He covers a lot of territory, so it may take a couple of posts to do the interview justice. This is, I feel, a very timely and important mile-stone article. “By declaring war on bacteria,” he writes, “ we declared war on the underlying living structure of the planet.” Buhner maintains that, through indiscriminate use of antibiotics, we have created “superbugs” with few effective pharmaceutical treatments, wreaking havoc in hospitals and making future pandemics likely. Asked what is wrong with the medical system in the USA, Bunher gives a very interesting synopsis of its relatively brief history, starting at the close of the nineteenth century when homeopaths were plentiful and allopaths were fewer and the poorest of the various groups of physicians. The discovery of penicillin changed all that. Allopathic physicians argued that their training was based on science and was thus more legitimate than other medical traditions and would provide safer interventions. With a lot of lobbying, they managed to get control over medical practice and have the other approaches outlawed. After the discovery of penicillin in the 1920’s, antibiotics became a primary aspect of allopathic practice. The drugs were so effective against previously difficult-to-treat problems, such as infections in burn patients, that Western cultures completely embraced allopathic healing. In 1942 the entire world‘s supply of penicillin was 8.5 gallons – about seventy pounds. By 1999 the production of antibiotics in the U.S. alone reached 40 million pounds per year. Unfortunately medical researchers‘ beliefs about bacteria were very wrong. Researchers said it would take roughly a million years for bacteria to develop widespread resistance to antibiotics through spontaneous mutations. They assumed bacteria were stupid, when in reality bacteria are highly sentient. They communicate by means of a sophisticated language – as sophisticated as ours. They recognize their kin. They protect their offspring. They create chemicals designed to produce specific outcomes in living systems, which certainly fits any definition of tool-making. We‘ve tended to view bacteria as a collection of single-celled entities, but when many of them join together, it‘s more proper to look at them as a swarm intelligence. And complex organisms such as plants, animals, and insects are, in essence, communities of bacteria. Ahuja: How does bacterial resistance challenge the current medical model? Buhner: Since the end of World War II, the medical establishment has been promising that we are heading for some sort of disease-free future in which we will live to be 120 and never get sick. They almost imply that they can cure death. Scientists’ inability to predict the bacterial response undermines the entire world view that the allopaths disseminated – and still disseminate – about disease and the nature of the world around them. The Centers for Disease Control estimates that, in 2011, 722,000 people picked up infections in hospitals. About 75,000 of those patients died during their hospitalizations. And some sources give a much higher figure for annual deaths from hospital-acquired infections. The allopaths’ lock on medical practice, which they insisted would create safer outcomes for the public, has not done so. All it has done is give one orientation toward healing a virtual monopoly on practice. Ahuja: How would you treat a resistant infection with herbs? Buhner: One woman who had undergone multiple antibiotic regimens over several years for a resistant staph infection (MRSA) came to me for help. She was about to lose her foot to the disease. It took a month to turn her condition around using an African herb called Cryptolepis sanguinolenta. Commonly used to treat malaria, it is also a broad-spectrum, systemic antibacterial with no side effects – at least, after twelve years of use, I have seen none. This begs the question, will not bacteria eventually become resistant to plant medicines? I love Buhner’s answer. Buhner: With a pharmaceutical, the bacteria analyze the single compound and generate solutions to it, which they then pass on to other bacteria. Plants, on the other hand, generate multiple compounds that deactivate resistance mechanisms in the bacteria and enhance the activity of the plant’s natural antibacterials. Bacteria cannot easily counteract that kind of complexity. Also, plants aren’t trying to kill all the bacteria on Earth. 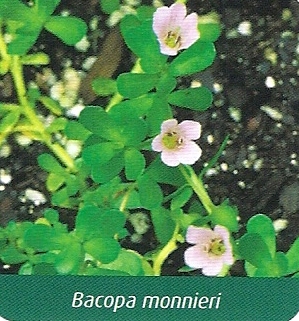 They merely want to create a balance in which the plants and bacteria set limits on each other’s behavior. Ahuja: There seems to be a general view that herbal medicine is fine for coughs and colds, but when something gets serious, you go to a conventional doctor. Buhner: The pharmaceutical companies’ advertising campaigns are very good. We have been trained to think of technological medicine as the only reliable type and other approaches as outdated remnants of a prescientific age. Yet the majority of people I have met don’t much like doctors or hospitals. The one thing modern medicine is good at is trauma. If I get hit by a car, I will go to a hospital. But other than antibiotics and some surgeries, hospitals have little they can offer to cure disease. They can only address the symptoms. Pharmaceutical companies are in business to make as much money as they can. They try to develop drugs you have to take for years and years, such as medicines for high blood pressure or depression. You don’t get well; you just keep taking the drug. Buhner then cites an example of herbal practice in Africa, where the people can’t afford Western drugs and the infrastructure there doesn’t support drug manufacturing. Local healers in Nigeria, for example, were asked what herbs they were using. Researchers then took the seeds from the best and most effective herbs and gave them to the people so they could grow their own plant herbs. This had a very empowering impact upon the people, not to mention its ecological friendliness. Until my next post, here’s to your health and prosperity throughout the coming New Year. Visit my HealthTones.org blog for more exploratory articles in the field of healing and transformation. September 26, 2014 by Anthony Palombo, D.C. I sat next to a long-time friend at a social event recently and, being a doctor, I asked him how his health was. He immediately proceeded to tell me about his cholesterol and blood pressure, both of which he said were “normal.” Now, that’s a pretty well accepted way most people measure their health, by their lab numbers, which don’t really say much about a person’s health. One can have “normal” numbers and still have a stroke or heart attack, especially if one is medicating to mask their symptoms to keep their lab values looking well within “normal” ranges and them feeling better. But, what’s really “normal?” One man’s normal is another man’s illness and worry. I put “normal” in quotation marks to emphasize that there really isn’t a one-fits-all norm — and so-called “normal ranges” are based on the medical model of treating the symptoms of disease, not fostering health. Medical students study cadavers that died from diseases and medical studies are based on treating the sick, not the well. Generally, doctors don’t treat the well. They treat the sick. So their standards are based on the sick and not the well. Also, what is “normal” for one person may not be appropriate for the next fellow. I’ll give you an example. The “normal” range for triglycerides in the average person is <150. The healthy range for triglycerides is much lower than that at <80, so I’m told by my brilliant colleague, teacher and clinical nutritionist at Whole Health Associates in Houston. This points to a choice we have to be merely outside the range of health failure and disease or to be well above that range experiencing great health and vitality. Another example is the worrisome cholesterol numbers. In the first place, cholesterol has nothing at all to do with cardiovascular disease. Cardiovascular disease is caused by inflammation. Cholesterol is simply the body’s way of dealing with inflammation and the damage it does to the blood arteries and vessels. It’s a patch material used to keep the eroding blood vessels from springing a leak. It’s an adaptation and not a marker for coronary heart disease (CHD). It’s only in America where high cholesterol is said to be a marker for CHD, and that’s only been so since Big Pharma developed and started flooding the market with statin drugs (Lipitor and its cousins) to suppress the liver’s production of cholesterol, a fat that every cell in your body needs to build its outer membrane that protects it from free radicals and oxidation. A fat that your body makes hormones, nerves and brain tissue out of. An essential fat in your skin needed to turn sunshine into Vitamin D.
We elderly need more of this essential fat than you youngsters for our brains cells to regenerate as they begin to die off as we age. So, higher numbers are normal and good for an aging person. It’s the ratio between the HDL and LDL that’s important and not the total cholesterol. Your HDL needs to be at least 25% of the total cholesterol. For example, if your total cholesterol level is 200, your HDL level needs to be around 50. The total cholesterol number will vary with the level of demand for cholesterol in the body. LDL’s carry the cholesterol from the liver out to where its needed in the body. HDL’s go around collecting what’s not used and then taking it back to the liver to be eliminated as bile from the body. Cholesterol is an essential fat in your body. There’s no such thing as “bad cholesterol.” That’s medical programming designed to engender fear in people so they will buy Lipitor and other Statin drugs. It’s pure and simple propaganda folks. Mute those commercials. Don’t let that programming into your subconscious mind. The logical thing to do is not treat the cholesterol but rather determine why there’s an increased demand for it in the first place and treat the cause of the demand. When you remove the necessity for more cholesterol, the numbers will come down. In most cases, the cause is stress and high insulin in the blood stream from consuming to many starches and sweets. Insulin erodes the inner lining of the blood vessels if it accumulates too much. Food allergies and sensitivities are another trigger for inflammation. Uric acid in the blood, as in gout, is another common trigger. Your lab numbers do not measure your health. They measure a momentary snapshot of the current conditions of your body fluids. That’s all. Your blood and your urine. That’s the terrain in which allopathic medicine works. Your lab numbers say nothing about the health of your body’s organs and tissue cells. That’s the domain of “functional medicine,” which is what I practice. Allopathy is defined in my New World Dictionary as the “treatment of disease by remedies that produce effects different from or opposite to those produced by the disease: loosely applied to the general practice of medicine today, but in strict usage opposed to HOMEOPATHY.” Those “different” effects are what mask the symptoms of disease. Homeopathy puts a small dose of the same disease in the form of a coded water solution into the body in order to trigger an immune response in the body so that the body learns how to deal with the actual disease on a safe “do-no-harm” level. This works beautifully, and is completely harmless. Functional medicine explores organs and systems malfunction and then supports the body’s own innate healing intelligence with nutrition and herbs in order to catalyze the healing process into action. Chiropractic also takes the functional approach, offering spinal care to restore nerve flow to organs and tissues and thereby restore their normal function. Here’s another example of numbers dictating one’s sense of health and well being. High blood pressure is normal, given the circumstances in the body that require it. Blood pressure, like cholesterol, will increase in response to a need in the body for more pressure behind the blood flow. It could be thick blood caused by toxins in the bloodstream. It could be constricted blood vessels due to cortisol pouring into the bloodstream to handle stress. It could also be kidney failure causing fluid to build up in the tissues and around the heart and other organs. Whatever the cause, it doesn’t make a bit of sense to lower the blood pressure with drugs — drugs that deplete CoQ10, the very energy source for the heart and kidneys — without finding out what’s causing the necessity for higher pressure in the circulatory system and correcting that. That’s what we do in functional medicine: find the cause and correct the interference to the normal function of organs, hormonal glands and body systems. Now, the person would be wise to take the HBP medicine to avoid having a stroke — and take 60 mg. of Coenzyme Q10 daily to replace what is leached out by the medicine. This goes for anyone taking Statin drugs as well. Well, I think that’s enough for one post. I hope you learned something from this one. I will leave you with these encouraging words: Trust your body. It doesn’t make mistakes. It knows exactly what it is doing. Help it do its job better. See an alternative healthcare practitioner. Stop measuring your potential for disease and focus on building up your health . . . and don’t sweat the numbers. Visit my Healing Tones blog for inspiring reading on a variety of timely topics. December 27, 2013 by Anthony Palombo, D.C. It has been a month since my last post on this blog. With the Christmas holidays behind me, I have time to write another article. What I would like to write about in this post is one of my most favorite subjects — and one that is understood by precious few among my clients, family and friends. If it were truly understood by all of them, I would be swamped with people asking for help with their health issues. The precious few among my clients, family members and friends who do understand and appreciate healing with nutrition and herbs are down right enthused about this form of natural health care. The clinical name for it is “Trophotherapy” (pronounced tro-fo-therapy). The body is intricately simple and simply intricate. If you produce the right measure for the right condition you get the right response. Unlike the shotgun approach of most self-designed vitamin supplement programs too many take in an endeavor to treat their body’s ills and build their health, doctors and other healthcare practitioners who specialize in clinical nutrition take a more focused and specific approach in designing nutritional and herbal protocols for their clients. As we considered in my previous post, trophotherapy is the backbone of what is known as “functional medicine” in that it addresses the primary factor is all health and disease issues, and that is the function of human anatomy, physiology and body chemistry. Where there is normal organic and glandular function and balanced chemistry, there is health. Where there is abnormal function and chemical imbalance in the body, there is disease. It’s that simple. To restore normal function and balance body chemistry, the “right measure” of nutritional and herbal support for the “right condition” will bring about the “right response” that leads to health. The key word here is response. It is your body’s response to the medicine your are ingesting for an ill condition that brings about a reversal of a disease process and triggers a healing process. This is how it works with all medicines, be they natural or pharmaceutical. Many drugs, for example, are toxic substances designed to “kill” disease-producing pathogens in the body and manipulate body chemistry in such a way as to engender a response. Your body’s immune system responds by rising up against these poisonous chemicals to neutralize them and/or eliminate them from the body, and in the process of combating the drug, the pathogens are dealt with as well. This is how medicine works. And, as we all know, it often results in undesired and in some cases deadly side effects, for which other drugs are prescribed to counteract the harmful effects of the primary prescriptions. Trophotherapy, or applied clinical nutrition, takes a different and more supportive and safe approach. Using natural and therefore harmless wholefood and herbal preparations, the alternative healthcare practitioner designs protocols that support the body’s own natural healing and repair processes. The body responds favorably when the right protocol is used. Hormonal glands begin to function properly again, blood and body chemistry balance out, and normal function is restored to organs and body tissues. Only a practitioner who is educated in applied clinical nutrition has the expertise to prescribe and monitor such a process.This is why it is always best to employ the services of a holistic practitioner in your natural health care rather than embarking on a do-it-yourself supplement program touted by some advertisement or internet solicitation. It is not wise to self-diagnose your condition and then treat it with store-bought and internet-bought nutritional products. Your local healthfood merchant is not necessarily a qualified healthcare practitioner, neither is your local pharmacist.Taking high-potency vitamins and inorganic minerals will do more harm to your body than good. The best your body will do with them is treat them as drugs, which is what they are, and eliminate them before they do any harm. That is the body’s natural response to non-food substances you put into it. You might argue that they make you feel good so they must be good for you. My reply is that they may make you feel good, but be assured that the only thing they do is stimulate energy and function in the body, which may perhaps make you feel energetic taking them, but they do nothing for your health and healing process. In that sense, the anti-vitamin propaganda we see on television put out by Big Pharma is accurate: Vitamins do little or nothing to reverse diseases and may be doing your body more harm than good. In conclusion, trophotherapy is not vitamin therapy. It has nothing to do with taking vitamins to reverse disease and build health. It is a science, philosophy and art of natural healing with wholefood and herbal supplements that are designed to be administered by a licensed healthcare practitioner. That’s because they have to be prescribed in the “right measure” for the “right condition” in order to bring about the “right response” from the body’s innate intelligence that knows best how to heal and repair itself. Stop poisoning your body with drugs and high-potency vitamin pills. Start nurturing your body and supporting its natural healing response with holistic trophotherapy. I’ve been using Standard Process and Medi-Herb products for decades in my holistic health care practice in clinical nutrition. Dr. Royal Lee, who founded Standard Process over a hundred years ago, led the way in forging a path to better health through trophotherapy. Master herbalist and professor Kerry Bone of Medi-Herb joined forces with Standard Process to make superior Australian herbs available to physicians in the USA. When you can have the very best, why settle for anything less? I wish you each one a Healthy and Happy New Year and a prosperous 2014. October 22, 2013 by Anthony Palombo, D.C.
With all the fuss going on over “Obamacare,” I’ve just got to get up on my soapbox for this blog post. While listening to some of the political talking points and patients’ viewpoints on the current health care crisis a few days ago on television, one woman with MS decried the fact that her drugs alone cost her $4400 a month, and I thought: “Oh My God! This is what we’re getting ourselves into with this so-called Affordable Health Care program!” — a misnomer if there ever was one. It would be more accurate to call it “Affordable Disease Care,” because that’s what it provides: care for those who have diseases, for whatever the reasons and causes, mostly related to unhealthy lifestyles, poverty, and environmental pollution. Just for a perspective on how this pans out where the rubber meets the road: it will take 44 of us paying our minimum $115 monthly Affordable Health Care premiums to pay for this woman’s drugs — drugs that do not even “cure” her MS and restore her health, but that merely treat the symptoms of her disease so that she can go on living a lifestyle that has resulted — and continues to result — in MS. Now, you tell me what’s wrong with this picture. Read the article. It’s very enlightening. The primary motive was to make sure hospitals and doctors got paid for their services to the sick — not to the healthy. So it really should be called “sick care insurance.” And they won’t let any of us real health care professionals in on their racket. Well, after fighting for inclusion and insurance equality, licensed chiropractors are allowed to dip into the money pool, but only to treat backaches and neck injuries along with disorders related to misaligned spinal vertebrae (known as a “subluxation complex”) — in other words, muscular-skeletal disorders. Diseases can only be treated by an MD and then only with drugs and surgery. Natural medicines, like herbs and therapeutic supplements, are not allowed. An MD’s scope of practice is limited to disease care. Therefore, natural medicines that contribute to health are not covered by any insurance policies that I’m aware of, certainly not by Medicare. Medicare will not pay for chiropractic maintenance care either. The chiropractor, in order to get a relatively puny amount of compensation from Medicare, has to say that the monthly spinal adjustment some of us like to have just to maintain our health is for a “new injury,” even though it isn’t. You see, one has to be a little bit dishonest in order to play the game. Oh, yes, the system can be manipulated and is on a daily basis. It’s a racket on both sides of the playing field. We even call it the “health care arena.” It’s all a big and expensive game for which the spectators pay premium dollars every month — plus a co-payment — in order to be allowed into the arena. Of course, they have to have a treatable disease in order to actually get out on the field and get passed around like a football while the doctor-players dip their hands into the insurance pool each time they pass or run the ball. Do you actually believe that medical science will ever find a “cure” for all the diseases they’ve invented in order to have a legitimate reason to play in the healthcare “field” — another game term — and collect a fee from the spectators’ pool of insurance monies — not to mention running the risk of cutting off the billions of research dollars it gets in government grants to find a cure for cancer and alzheimer’s ? Not on your life. In case you have forgotten, the “government” is US, you and me, whether we’re paying an insurance premium or not. Our tax dollars go towards keeping this game in play — along with all the dollars collected in countless marches against breast cancer, diabetes and every other disease we can think of that lets us believe we are doing something by paying to walk in order to end disease on the planet. WAKE UP PEOPLE! IT WILL NEVER HAPPEN! For one thing, it would collapse the nation’s economy. Yes, I’m being deliberately facetious and critical. But,then, critical thinking is what we all need to exercise these days if we are to affect real changes in health care. First, let’s call it what it is: disease care. Then let’s start demanding that insurance companies start including honest and real health care in their coverage. I’ve heard that the state of Washington has been requiring insurance companies to pay for alternative health care for several years now. I don’t know how their doing with their law or even if it is still being enforced. Any of my readers know? Now, let me get real here. After all, we live in a less-than-perfect world. Disease is a fact of life as life is now lived by humans on the planet, and I am truly thankful we have developed coping methods and technology to help us traverse the toxic and dangerous terrain we have created on the surface of our planetary home among the stars. We simply could not make it without the help of our wonderful and dedicated ER doctors and nurses who get us through traumatic crises we would otherwise not likely survive. Every time I think of my by-pass operation of 2003 I thank God for the blessed surgeon who held my heart in his hands and grafted new veins and arteries into it so that I could live to see another day, another year, another decade now. God bless him and his team. I tell my patients to be thankful for their doctors and the drugs they are taking to help them through their health crisis while they embark on a new path to health and wellness with alternative health care and lifestyle changes. But they know and we all know that taking drugs is not the way to go in our health care. I certainly hope the young lady with MS finds her way to an alternative health care practitioner so that she can let go of her expensive drugs and toxic lifestyle. We’ve got to find another way, and we have in fact made huge inroads into healthier lifestyles and natural healing technologies. Real health care is abundantly available today. It’s just not covered by medical insurance, and I’m sure it won’t be covered by the Affordable Health Care Law. For now, we have to pay for it out of our own pockets. But, after all, isn’t my health my responsibility? It’s certainly not yours, nor the government’s, nor the insurance industry’s for that matter. Nor is it my doctors’ responsibility. It’s mine and mine alone. If we each took care of our own health, there would be no need for disease care insurance. What I am really talking about here is the need for a radical shift in the way we think about and go about the care of our health, of our precious and faithful bodies. It’s a change in consciousness that is required so that, as we each one awake and contribute into the mass consciousness our own enlightenment and perspective, we help blaze new paths to freedom from disease. There is an awakening taking place in human consciousness and it will continue to expand and fill the collective human mind and heart with light and love for truth so that those in positions to offer collective leadership and assume responsibility for collective programs that facilitate whole-health care and healthy lifestyles will continue to have realizations that open up new and affordable ways of doing things on the planet. It’s already happening, as my wife and I were acknowledging at the dinner table just yesterday. It’s just happening “under the radar” of today’s media. It’s all over social media and the web. The new paradigm is now well in place. Is there a solution to the problem we’re facing with our current health care delivery system? I don’t see one. Every new solution seems to produce only more problems in this mind-made world. The ultimate solution is individual assumption of personal responsibility. Until that happens, we can, at best, create stepping stones and bridges to the other side, away from sick care and toward true health care. All it takes is a little interest and education. I would make one suggestion, and that would be to put in place a requirement in our Affordable Health Care Law that, in order to engage the system, a person would have to show that he or she has first engaged a healthy lifestyle and is doing something to educate him/or herself about alternative health care and sound nutrition. Even then, it would only work in an honest world where people are awake to the way the natural world works in according to natural laws. A friend penned those words in a poem. Disease is the body’s natural adaptation to the insults and injury brought on by an unnatural lifestyle. There’s nothing wrong with it. It keeps our species from extinction by helping us adapt to an increasingly toxic and anti-life environment. It is we with our toxic lifestyle who are out of harmony with Natural Law, and we reap the consequences and pay with our good health and very lives to maintain that disharmony. At the rate we are going, we may not be able to adapt fast enough and our species may yet go extinct unless we make radical changes soon. Some people say alternative health care is expensive. No it isn’t. Sick care is what’s expensive, increasingly so. That’s why that hand-full of hospitals and doctors invented sick insurance back along the way. Their’s was a vision of things big and far. Real health care is affordable and far less costly than drugs and surgery. It’s safer, too. One simply has to get beyond the fear barrier and let go of one’s false sense of security and dependence on drugs. All insurance salesmen know that fear is the driving force that closes the sale in the absence of wisdom and informed decision making. That’s why I have never in my working years bought health insurance, nor professional liability insurance for that matter. I simply would not buy into a fear-based system. The only two so-called “malpractice” law suits ever filed against me in my early years of practice were suddenly dropped when the assailants found out I didn’t have liability insurance. And the only health care insurance I’ve ever owned and used is Chiropractic and wholistic health care. My heart by-pass surgery was a gift from God. Thank you, God, and Poudre Valley Hospital in Fort Collins, Colorado. For that matter, all doctors are gifts from God. Now, of course, I have Medicare to cover any catastrophic health crises I may encounter in my ageing body. It was a blessing to have when I had a worn out knee replaced a few years ago. I take no medications. Nada. Instead, I take a handful of Mother Nature’s medicines of wholefood supplements every day prescribed by a colleague in Houston whom I visit regularly for my health care. I also exercise moderately and eat sensibly. Don’t need much food to maintain my level of activity anyway. “An apple a day keeps the doctor away.” Not too many of my clients even do that. I also sleep eight hours at night and do things I enjoy — like writing these blogs, reading a good novel, singing with the Masterworks Chorale, cooking, gardening and traveling with my wife and traveling partner. Above all, I find it essential to maintain a spiritual practice to nurture my Soul’s inner life, such as meditation and attunement. After all, physical substance is shaped, nourished and maintained by spiritual substance. “As above, so below. As within, so without.” A conscious working connection with Source within is essential to the health of the whole person. Abuse is inevitable in systems where billions of dollars are pouring in from the masses. Even Medicare is abused by doctors who know darn good and well that an old person is not going to benefit that much by a hip replacement. My own ageing mother was a case in point. She had hip replacement in her 80’s at the expense of the taxpayers but was too weak to go through rehab and never really walked well again after the surgery, which was, at best, but an expensive aspirin. Between a pace maker and joint replacement, Medicare paid out over thirty-thousand dollars to her doctors and the hospital before she finally used up all her physical substance just surviving to the over-ripe old age of 90. Did her doctors take advantage of Medicare? It appeared so to me. She could have easily been allowed to end her earthly journey honorably at 80 and avoid her last decade of medical disease management. It seems we do things nowadays just because we can and because it’s covered by insurance. What ever happened to allowing the natural process of dying as an honorable way of leaving this world? Does medicine have the right to interfere with that process? Does it have the right to a monopoly on health care, and now to a government subsidized protection plan for that monopoly? Because that’s exactly what the Affordable Health Care Law is. This law says that Americans must have sick care insurance or pay a penalty. Given the current dietary habits and lifestyles of most Americans, it’s really not a bad idea. The insurance industry itself will eventually collapse, as all dishonest and abused systems must. I think it’s a telling sign that unless the young and healthy sign up for it, Obamacare will not be adequately funded by the people. Many young Americans are apparently opting for the penalty in lieu of the monthly premium. Makes good sense to me. We may yet be forced to return to embracing an honorable death as an alternative to a life of disease management. It is, as one health author put it some years back, “cheaper to die.” Of course, the best alternative by far is health and wellness care. Well, that’s my contribution to the current conversation on health care. Just one doctor’s viewpoint. You’re welcome to share yours. Until my next post, here’s to your health and healing! Visit my HealingTones.org blog for more thought-provoking articles on transformation and spiritual ascent. June 11, 2012 by Anthony Palombo, D.C.
Don’t know about you, but I’ve had enough with TV commercials selling drugs. If it’s not Nexium, it’s Prilosec or Prevacid for indigestion and GERD. Then there are the erectile dysfunction drugs with warnings to men with hypertension and prolonged erections. And don’t you just love the monotone side-effect warnings drug ads add onto the commercial with pleasant music playing so you’re led to think this is a good thing and not harmful. Don’t they know most of us just mute our TV’s during commercials? Apparently these commercials work because the drug companies keep doling out millions to television stations and show billions of dollars in sales and profits. And they even tell lies to program people to think within the box of the medical model. One Prevacid commercial shows a graphic of the inside wall of the stomach pumping digestive juices into it and states that this purple pill stops the stomach pumps from doing their job. The lie is that they state that these secretions are what cause “acid indigestion,” and this is simply not true. It’s the acids of fermenting foods that cause indigestion and “heart burn” that leads to GERD, or “acid reflux,” and not the digestive acids which the lining of the stomach is designed to handle. It can’t handle fermenting acids which burn the tissues of the stomach and the “cardiac valve” leading from the esophagus into the stomach. This fermentation burns the upper region of the stomach near the heart. That’s why we call it “heart burn.” It’s not the heart that’s burning but the cardiac valve (named for its close proximity to the lower tip of the heart). The valve gets soft, looses its tone, so that it can’t close tight. The result is GERD. Fermentation occurs when foods stop digesting due to diluted stomach acids (Betaine Hydrochloride). Dilution of stomach digestive acids — in anyone under 45 years of age — is caused by improper food combining — mixing sweets and starches with meats primarily — or by a lack of pepsin and ptyaln amylase, enzymes from the salivary glands that, when mixed with foods in the mouth while chewing it thoroughly, activate acid and alkaline digestive juices respectively so that the proteins get broken down and digested and the starches get converted to sugar, a process that actually starts in the mouth. Chew on your french fries long enough and they’ll turn sweet in your mouth. Without the salivary enzyme ptylan amylase starches will ferment in the stomach. This will occur if you eat too fast — like on the run — or wash you food down with a soda, or even water, without chewing it properly. Eating while under stress is a frequent cause of indigestion these days, simply because stress shuts down the digestive system. The body doesn’t want food while it’s under attack. It wants to run away from the treat, real or imagined, or at least fight back and defend itself against attack — again, real or imagined. So it switches from nourishing and growth mode to defense and survival. You see, indigestion can be prevented simply by eating properly and enjoying your meal with a relaxed composure. And if you’re over 45, your stomach just doesn’t produce as much Hydrochloric acid as it did when you were younger with abusive eating habits wearing out your stomach’s acid pumps. So you need to take ZYPAN, a digestive enzyme with activated Betaine Hydrochloride made by Standard Process Labs out of Palmyra, Wisconsin. Drop me an email and I’ll mail a few bottles to you. A large bottle of 330 tablets is only $40 and their 90 tablet bottle is $12.50 (add $13 for drop-shipping). If you want a correct remedy for indigestion and acid reflux, add some Betaine Hydrochloride to the fermenting contents of your stomach to start up the digestive process. That’s right, add acid to your stomach, only the right kind. Two ZYPAN tablets will do the trick nicely. Visit Healing Tones blog for a fascinating article on global warming, “Global Warming a Galactic Event.